The South West’s most famous surf breaks are located further south, but you can still find a great wave or two in the Bunbury Geographe. During winter there is regular swell. The most consistent surf in Bunbury is found at Back Beach along Ocean Drive. The waves are best on the 1km stretch of beach from the surf club to the patch of reef to the south called Whippies. Further north along Casuarina Drive is a stretch of reef known as BP’s. The surf is smaller here although the reef can create better-shaped waves. North of BP’s is a groyne a righthander will occasionally break off. Bunbury Beach is also the site of the Bunbury Surf Life Saving Club, which is located just south of Rocky Point. The Surf Club is one of the oldest in Australia, and the third oldest in Western Australia, having been founded in 1915. To Bunbury’s north, Binningup Beach also offers some great little waves for the novice surfer. Try the Fastest Growing Water Sport that’s also loads of fun. SUP is your answer to getting on the water without getting your hair wet (unless you are un-co like us). We love that it’s also an ultra-fun way to work off holiday indulgence. Plus paddling with dolphins swimming by is definitely an OMG moment. If you’ve mastered your SUP board and ready for your next challenge. Test your balance with SUP Yoga. 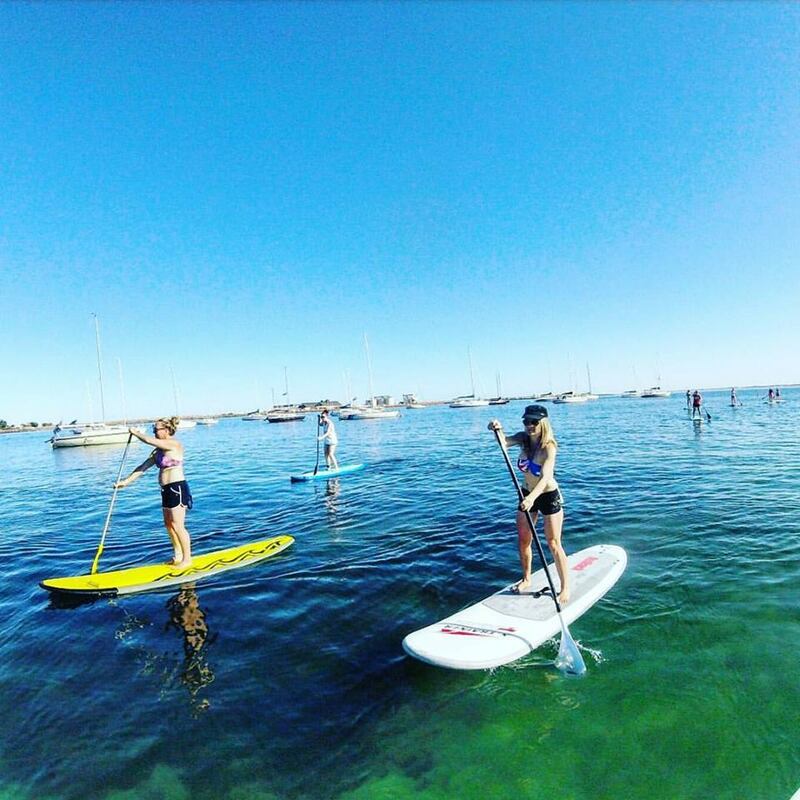 Up SUP Down and SUP Bunbury have joined forces to offer classes throughout summer On the shores of Koombana Bay, SUP Bunbury is a team of local SUPaholics run by ASI accredited SUP Instructor Mel Hynynen. They offer lessons, SUP hire, SUP yoga, tours, sales and more.